Track your child’s growth with MailPix’s personalizable toddler growth charts. Kids’ growth charts are great for your baby, toddler or young child. All growth charts are artsy wall decors printed with you and the environment in mind. 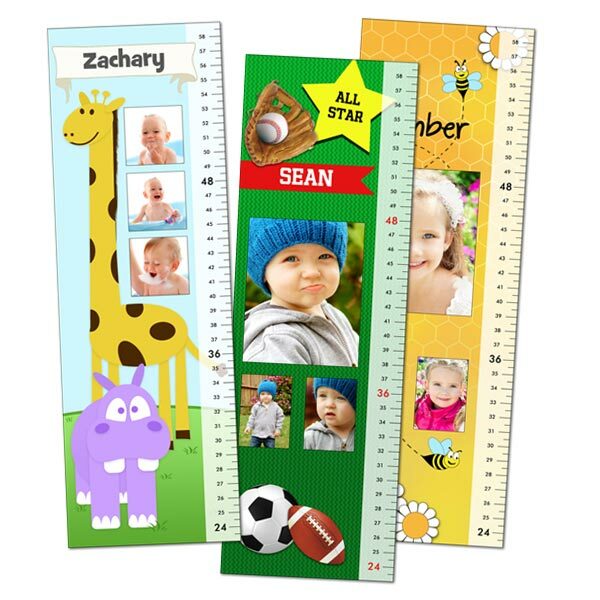 Child growth charts are reusable and leave no sticky residue. Your child can mark a certain height on the wall using MailPix peel and stick print decals. Mark a special occasion, such as a birthday, beginning of a new year or the school year. Create a baby growth chart today for your family or give them as gifts. I ordered this Growth Chart for my son and it only took 4 days to receive it! I was so impressed with the fast service not to mention the chart is ADORABLE! Thank you so much, I am defiantly spreading the word around!